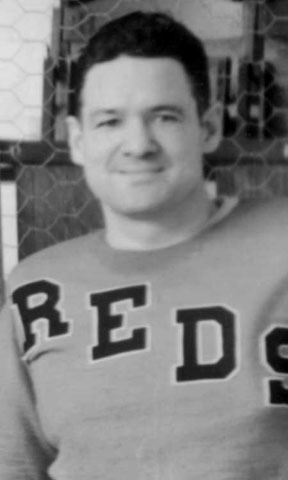 A “Class of 1964” inductee, Paddy Byrne helped lead the Reds to the 1933 Fontaine Cup title with a 1.91 goals against (GAA), a 19-12-9 record, and 8 shutouts. Byrne played five seasons with Providence from 1932-1937 and compiled a 2.53 GAA in 215 games. He shares the Reds’ all-time team record for shutouts with 23. Byrne also spent time in the AHA from 1927 though 1932 and won a Skelly Cup championship with Kansas City of the AHA in 1929.